It is a helpful tool to have for younger drummers, as timing is usually the #1 issue. You can easily reference the tempo of a song before you rehearse or lead. It’s a great tool for drummers in training if they use the church drumset during the week to practice. Your musicians can learn the art and joy of pushing and dragging against the click. Familiarizing your church culture with a click will give musicians a tool that will aid them if they enter a recording studio. If you are recording your services you can sync other musical elements later with more ease. Metronomes are standard tools for most world-class musicians. You don’t have to use it on every song, but the tool is there if you want it. This video shows my process for setting up a permanent click (metronome) next to the drum set. My name is Mike O’Brien and I am passionate about teaching and mentoring worship leaders and teams. My calling is to use my experience as a producer, worship leader, songwriter, and multi-instrumentalist to come alongside musicians, helping them more fully worship God with their instrument and lives. Find out more how I can help your worship leaders and teams HERE. Band rehearsals are not usually super fun. Many times they are in the early hour or after a long day. Musicians and tech teams are all arriving with a variety of emotions, experiences and energy levels. Yes, your job as a worship leader is to get the band on track musically, but there is actually something more important that should PRECEDE music making. Before your next rehearsal do this one thing and it will transform the culture of your volunteer worship ministry. As the leader, arrive earlier than everyone else. Do everything administratively and technically possible to make the stage ready (print charts, check audio lines, etc..). Musicians will arrive and get set up. Once you and your bandmates have monitors solid and are ready to rehearse…. Lessons From Churches from 50 and 5000. Over the past 18 months, I have served fifty-plus churches as a worship team trainer and guest worship leader. I’ve noticed some interesting trends in worship ministries that are healthy, growing, and happy. This post has little to do with the quality of liturgy or congregational worship experience, but it’s more a peek under the administrative hood. It is not exhaustive, it’s just a list of markers I have noticed. Most churches have multiple worship leaders. If you have three worship leaders and three different ways of administering bands, you will drive your volunteers crazy. There should be one system that everyone adheres to. If possible, try to implement the SAME system across the board for all volunteers so families can serve in multiple areas of the church without confusion. Pick a System – There are several ways to let people know when they are serving at church. Planning Center Online is the king, however, you can also look at worshipteam.com and others. You might use a mix of online tools and simple PDF attachments to email. Your system should have a way to communicate seasonally (1-4 months at a time), weekly (hey, you’re on this week), and the day of service (hey, you’re on today). Provide schedules at least 1 month before the start of the schedule. (i.e. the January schedule is emailed November 30th etc…). Do not avoid creating a system because one volunteer doesn’t use email or Facebook. Those people either need to yield to the agreed method or you can build a secondary system for them. Either way, there should be a system to reach everyone. Once a healthy method for communication is in place, don’t constantly change your methodology. You will build trust with consistency, which is measured in years, not months. Raise heck when your system is ignored or amended by well-meaning, creative people. Consistency breeds faithfulness (and more drummers). God is very kind to build seasons into our lives. Every new season is an excellent time to recalibrate and make new what has become tattered and worn. For many, our worship ministries and personal leadership have plateaued. Sure, we get the weekly worship set out and go through the motions, but there is something deep inside that says there could be more. The non-stop voice in our head says, “I wish….”. For years I wanted a better voice but I was too embarrassed, broke or distracted to take a voice lesson. I also wanted a real Hammond B3 Organ. I wanted to get high quality counseling… and the list went on and on. All these dreams (and more) connected with my calling went nowhere year after year. In 2002 I started making a list and a plan of action for everything I could dream in the area of worship leadership and our team. That year, by March – EVERYTHING had already been accomplished! Needless to say every year since I have continued to pray, dream and designing goals for that next year. We so easily discount these goal making sessions as RESOLUTION PLANS that will only fail. But let me say this: You will inevitably begin and restart cycles of sin this year without a list or a plan. I promise. Knowing that the one who comes to steal and destroy is always working, we need to take the time to listen to what God has for us. There are more tools today to help us succeed than ever before. You will begin + restart cycles of sin this year without a list or a plan. Design your personal + team goals! Share these 9 great vocal tips with your worship team! 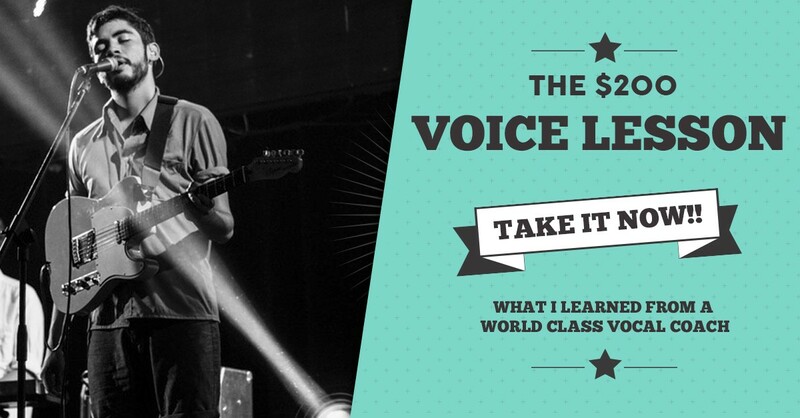 Sign up for my newsletter and get the free $200 Voice Lesson. 1.31-2.2 Sound Summit Training – Delaware City Vineyard, OH. 2.3 Delaware City Vineyard, Delaware City, OH. 2.4.19 Grand Canyon University – Phoenix, AZ. 2.5-6.19 Breaking 200 – Vineyard Church North Phoenix, AZ. 2.10.19 Worship Circle 6PM – Living Hope Church, Kennesaw GA.
2.19-22.19 Worship Leaders Retreat, Cannon Beach, OR. 4.21.19 Easter Service – Living Hope Church, Kennesaw GA.
6.3-7.2019 Vineyard School of Worship: Summer Session Bootcamp, Columbus OH. 6.17-21.2019 Vineyard School of Worship: Summer Session Bootcamp, Los Angeles. 7.8-11.2019 Vineyard National Conference East, Dayton, OH. 7.15-18.2019 Vineyard National Conference West, Denver CO.
9.19-22.2019 Worship + Soul Care Training, Faith Covenant Church of Borger TX. 9.24-27.2019 VWL Retreat, Montreat, NC. 11.14-16.2019 VWL Retreat, Los Angeles, CA. 1.23-25.2020 Sound Summit, Atlanta GA.